Miguel Mejia represents clients in the field of Divorce, Family Law and Residential Real Estate Law. He has worked extensively in matters related to separation and helps clients resolve their post separation issues which include, but are not limited to, divorce, custody and access matters, child support, spousal support, and matrimonial property. He provides legal representation in various challenging high conflict matters. He also assists clients who reside in foreign jurisdictions such as the United States, Russia, Australia, Mexico, when possible. Miguel helps his clients resolve their post separation issues through the process of mediation, arbitration, parenting coordination and has significant litigation experience at the Provincial Court of Alberta and the Court of Queen’s Bench of Alberta. Miguel completed his undergraduate studies at Simon Fraser University in 2003. He then went on to study Law at the University of Saskatchewan where he obtained his LL.B. in 2007. Miguel completed his Articles at Salmon & Company and Squire Law. During his articles, Miguel was exposed to various areas of law, including, Civil Litigation, Taxation and Business Law, with a focus on Family and Divorce Law. Miguel gained valuable experience during his Articling year and received mentorship from two well respected and experienced lawyers – David Salmon and Gord Squire. Miguel became a member of the Law Society of Alberta in October 2008 and began his career in area of Divorce and Family Law, and related fields at that time. 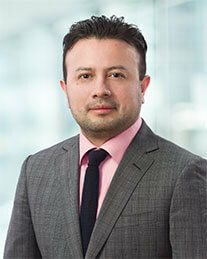 In addition to his practice of Divorce and Family Law, Miguel also began to practice Residential Real Estate. Mary got her Juris Doctor from the University of Windsor in 2010. During Law School, Mary continued to be actively involved in the community as a Case Worker at the Community Legal Aid Office as well as a Researcher at Pro Bono Student’s Canada. She also successfully completed the Mediation Program. After law school, Mary articled at a national law firm where she obtained experience in business, intellectual property and advocacy and was admitted to the Law Society of Upper Canada as well as Law Society of Alberta in 2011. Thereafter, she worked both as in-house counsel as well as in private practice but was drawn to family law and wills & estates because it gave her the best opportunity to do what she went to law school for – to help people every single day in a way that truly makes a difference. 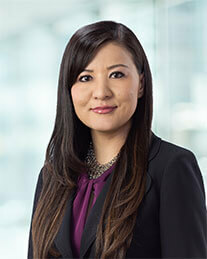 Mary has litigated for clients in both the Court of Queen’s Bench and Provincial Court level in a broad range of family law issues including child support, spousal support, custody and access and division of property. Outside of the court forum, Mary also has experience as a mediator. As a member of the Conciliation and Arbitration Board (CAB), Mary is a trained mediator and works with parties who are unable to resolve issues related to family, matrimonial or small commercial disputes, to reach a mutually agreeable resolution in an equitable, efficient, confidential and cost-effective manner. In addition to her family law practice, Mary also practices in Wills and Estates matters.